PARIS -- Plastic Omnium reported stronger earnings in 2017, with profits driven by global growth in crossovers and SUVs, which have a higher plastic body content than sedans and hatchbacks, and its operations in China and North America. For the year, the French supplier posted a 15 percent increase in revenue to 8 billion euros ($9.98 billion), a 15 percent increase in operating margin to 9.5 percent, and net profits of 425 million euros, a 36 percent increase. Net debt was reduced by 237 million euros, to 563 million euros, and dividends rose by 37 percent, to 63 cents per share. Plastic Omnium’s results were also boosted by the integration of Faurecia’s exteriors unit, which it acquired in July 2016 for 665 million euros. Plastic Omnium produces fascias, body panels, fenders, front- and rear-end modules and fuel systems. Its top customers are PSA Group, General Motors, Volkswagen and Ford. The company has sought to strengthen its core automotive business unit, which grew by 11 percent last year, excluding the exteriors unit from Faurecia. It sold its truck composites business effective last June 30, and in 2018 hopes to sell its environmental unit, which generated revenue of 369 billion euros but grew just 2.5 percent. Plastic Omnium, which is controlled by the Burelle family, took steps in 2017 to ensure its independence, CEO Laurent Burelle said, including a 54 million euro share buy back and the reduction of the number of shares by 1.5 million. The company recorded growth and outperformed the market across all regions. Sales rose 17 percent in China, where overall auto production rose grew by 2.7 percent, and 15 percent in North America, where production fell 4.5 percent. Sales rose 6.3 percent in Europe, compared with a production increase of 3.6 percent. China is where the company is looking to the future, said co-chief CEO Jean-Michel Szczerba. Of 11 new customers acquired in 2017, nine were Chinese and two were Indian. “Since 2000, the biggest change in the auto market has been the shift of production from Europe and North America to China,” Szczerba said. Europe makes up 54 percent of Plastic Omnium’s sales, followed by North America at 26 percent and China at 9 percent. Sales in South America were up 26 percent; the region accounts for 3 percent of sales. Plastic Omnium benefited from the global surge in sales for pickups, crossovers and SUVs, because those vehicles can have up to 50 percent higher plastic body content, a company spokeswoman said. SUVs and pickups made up 39 percent of the global auto market last year, but accounted for 44 percent of Plastic Omnium’s sales. That figure is expected to grow to 48 percent by 2021. The company is predicting a “moderate outperformance” of the market this year, when auto production is forecast to grow by 2 percent globally. Looking ahead, Plastic Omnium is investing in research in “smart bodies,” which will integrate sensors for autonomous driving, Burelle and Szczerba said, and in hydrogen fuel cell systems. “Plastic Omnium today is preparing for a technological revolution,” Szczerba said. 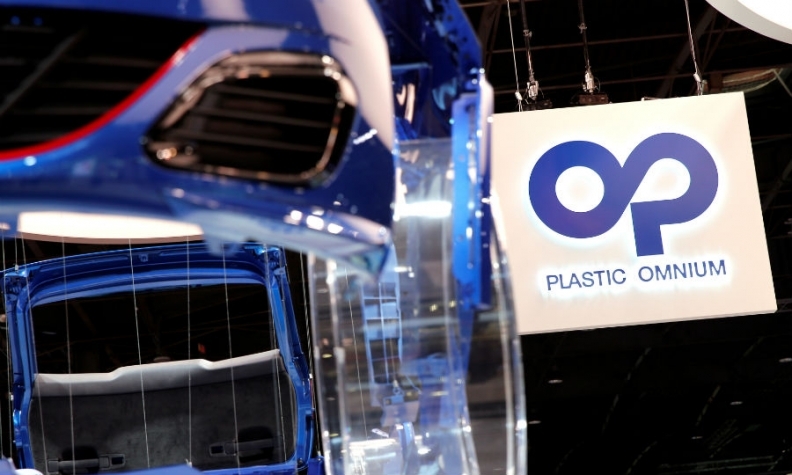 Plastic Omnium ranked 29th in Automotive News Europe’s list of the top 100 global suppliers, with sales with automakers of $8 billion.